What to do if you are running out of free space on your hard drive? 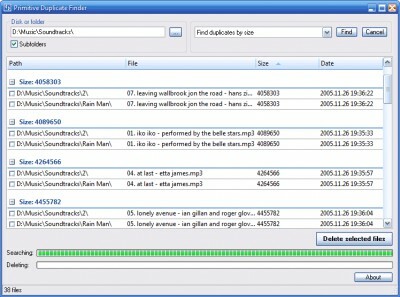 Primitive Duplicate Finder offers you one of the simplest ways to solve his problem - find and delete file duplicates. Just specify the drive or the folder and Primitive Duplicate Finder will create the list of all file duplicates and copies. 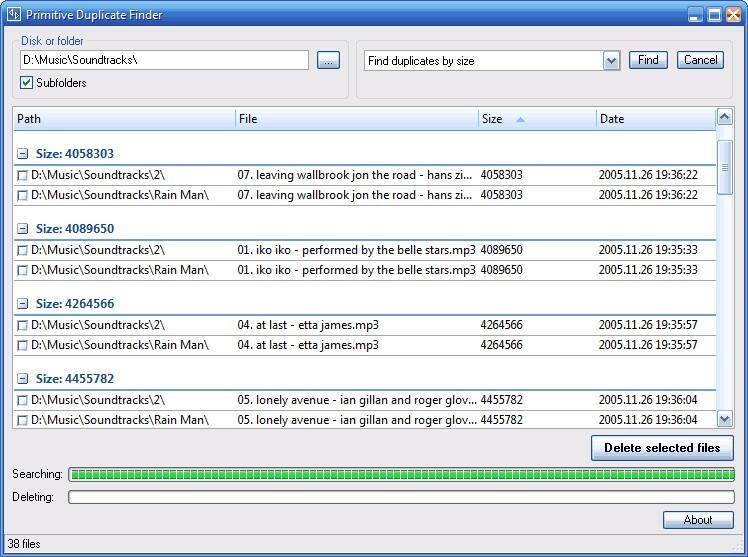 The program can search for duplicates by their names, sizes or contents (using the CRC32 checksum).